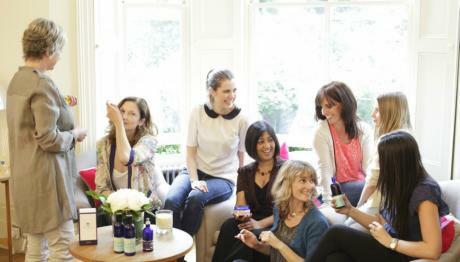 Launched in 2009, NYR Organic now has over 5000 independent Consultants within the UK, as well as over 2,000 in the US. All Consultants share a passion for transforming people's lives by educating and empowering them to live more healthily through the power of nature. The Neal's Yard Remedies' range of over 170 certified organic products (the largest in the UK), is scientifically formulated and manufactured in England, at the company's eco-factory in Dorset, using sustainably-sourced, wild and organic ingredients. 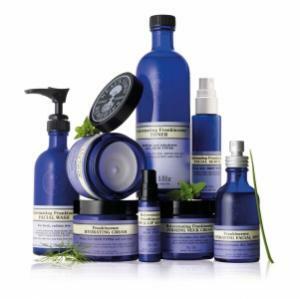 These fabulous products regularly hit the headlines and, in March 2012, Neal's Yard Remedies was awarded Natural Health Magazine’s Best Organic Range for the 4th year running. In addition to this, our Chairman, Peter Kindersley, won the Outstanding Achievement Award at the Natural & Organic Awards for his ongoing commitment and support for organic living. "Finally I have found a job that ticks all my boxes, suits my lifestyle with superb products and earning potential. The training days have a real buzz of excitement, mixing with like-minded people who recognise the fabulous opportunity we have joining NYR Organic at this time"
We have recently featured on the Country Wives website with this article. Last year a friend invited me to join her at a NYR Organic coffee morning she was hosting. She said there would be plenty of cake so of course I accepted (not much cake in our house) but little did I realise what fun the morning would turn out to be and how two hours would change my life in terms of the products I now use on my face and body – in particular the frankincense Rejuvenating Cream. NYR Natural News provides fascinating reading. It is packed with a wide range of articles, information, videos and details of our campaigns. Try our vitality test and see what type you are and tips that may help you and improve your wellbeing.